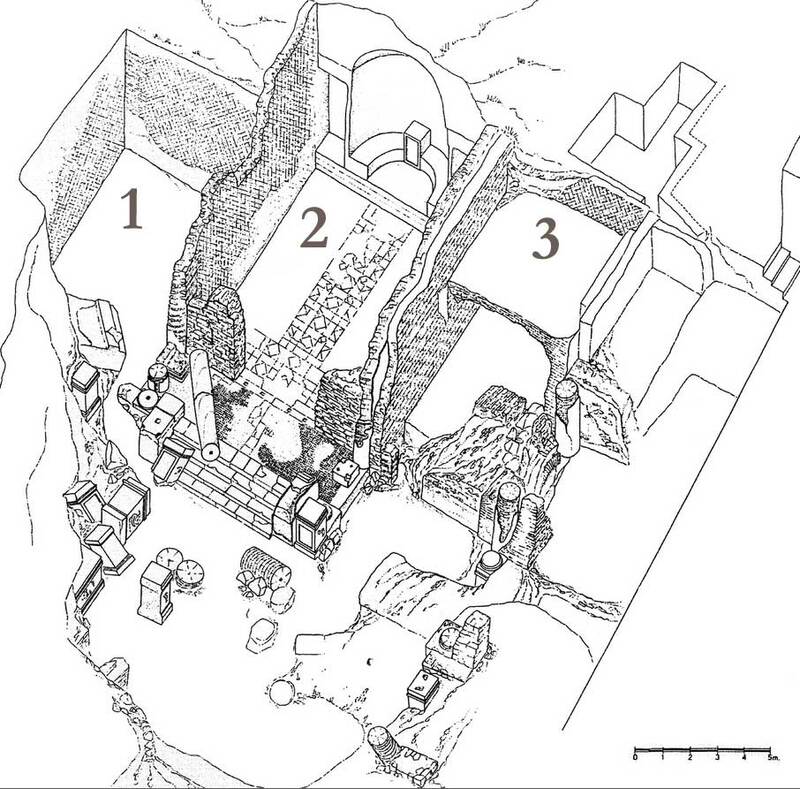 Description: Discovered in 1968 in region I (regio I) of the excavated site are three adjacent rectangular rooms (1-3 in the drawing below) used by the Augustales. The building contained at least ten statue bases, many likely of emperors. The central room (2) is temple-like in its structure, with a columned porch. A mosaic at the entrance of the eastern room (3) identifies it as a banqueting hall (triclinium constantiae). Many inscriptions found at the site (ranging in date from 80-222 CE) attest to active patronage and honors for association-members and donors. These inscriptions are collected and translated in D’Arms 2000. 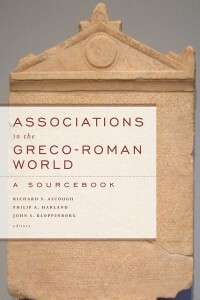 In the mid-second century, the membership consisted of about 100 individuals (Laird 2015, 142). Drawing of the Augustales’ building at Misenum (modified by Harland from D’Arms 2000, plate IX). 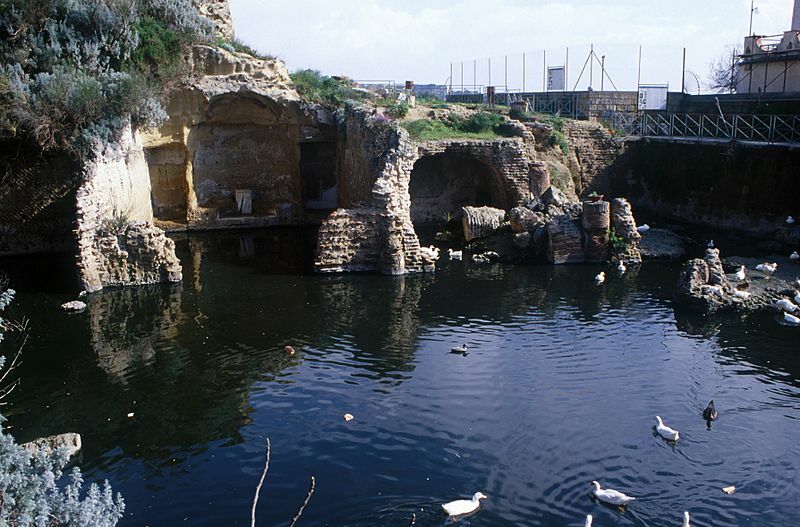 Building of the Augustales at Misenum with the central temple-like room visible on the left. Photo by Tyler Bell used under a Creative Commons licence (from Wikimedia).